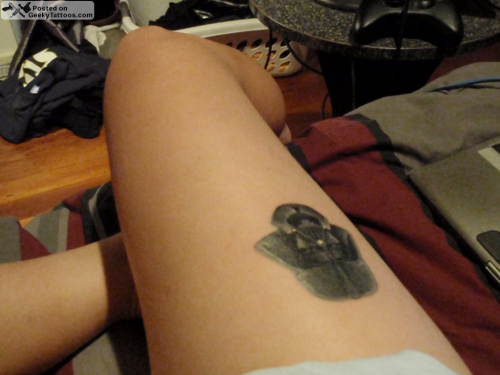 Chelsea’s the proud owner of the Darth Vader thigh tattoo you see above. She got it from Liesje at The Tattooed Heart in New Zealand. Why Darth Vader you ask? “Darth Vader is pretty much the coolest fictional character ever”, she says. 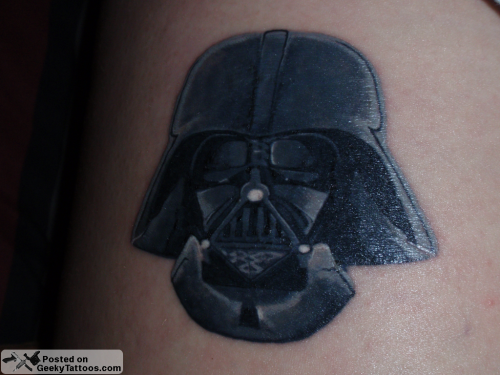 Tagged with Darth Vader, Star Wars, Tattooed Heart, thigh.